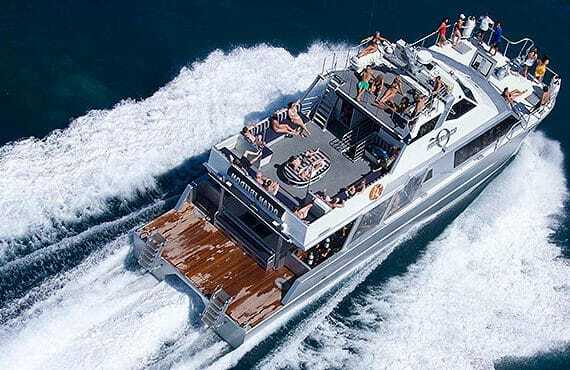 Travel with style and speed on our comfortable 20 metre motor catamaran. Ocean Freedom provides you with a first class way to experience two unique Great Barrier Reef sites, without the crowds. Enjoy truly personalised service. Our crew will connect with you to ensure you have the best reef experience possible. Ocean Freedom is the only boat in Cairns offering a full 6 hours on the reef, meaning there’s absolutely no rush in the day. You get to enjoy all the complimentary water activities, whilst still having time to relax and enjoy a long lazy lunch. Experience an adventure drift snorkel tour with our attentive crew and jump on board for an informative glass bottom boat tour. If interested in taking your first ever scuba dive experience with us, Ocean Freedom’s unique 2 divers to 1 instructor ratio ensures your comfort and care. If you’re a certified diver, enjoy a small personal group with complimentary guide, so you can just relax and enjoy the sights! This 5 star tour visits 2 great and unique destinations. The crystal clear, shallow waters and surrounding reef of Upolu Cay and “Wonder Wall” on the outer edge of Upolu Reef. 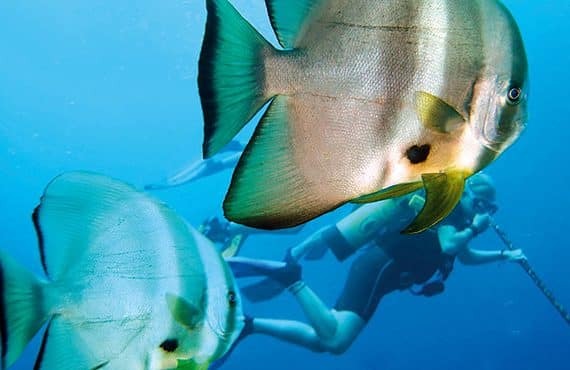 Explore the wonders of the Great Barrier Reef with us, for a simply superb day in paradise. 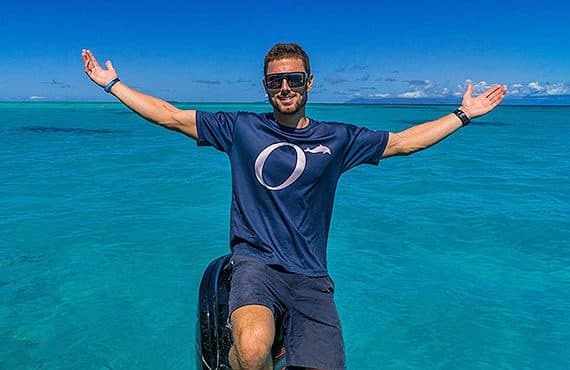 For the discerning traveller wanting first class service with that friendly ozzie touch, you must choose Ocean Freedom. Our enthusiastic crew are committed to providing for your every need. 6hrs to experience 2 very unique and different destinations on the Great Barrier Reef. Just over 1 hour to get to the reef and only 10 minutes travelling between the 2 destinations. No rush in the day. You’re a name not a number. Guest numbers are strictly limited to 75 (despite being surveyed to carry 105) ensuring maximum customer service and passenger comfort. Be pampered with us. Complimentary glass bottom boat tour, with informative reef talk, adventure drift snorkel tour, scrumptious seafood smorgasbord lunch including smoked salmon and prawns, tea and coffee all day. Guided adventure drift snorkel tours showcase the best of the Great Barrier Reef. Float gently, admiring the amazing variety of colourful corals and marine life beneath you. Ocean Freedom offer introductory diving (no experience needed) and certified diving. All dives are guided and the highest ratio of dive instructor to diver is offered. We take your safety seriously. Ocean Freedom is an Advanced Eco Certified product. Throughout our years of operating we have always and continue to have a strong commitment to protecting our beautiful Great Barrier Reef. This is a great value for money day tour with lots of inclusions. You have 6 hours to explore Upolu Cay area and Outer Edge Upolu – 2 unique Great Barrier Reef destinations.